Note: Nightly except Sun, Mon usually. Check sponsor's website for the latest updates. The Black Box, a refuge from the everyday, a home for experimentation and heart-felt emotion. Our mission is simple, we are here to move people through sound. We host a wide range of genres, allowing patrons from all walks to experience the power of music on a proper sound system. The dual room venue is fully equipped with the powerful, state-of-the-art Basscouch Sound consisting of a Tannoy, Funktion-One, and Othorn combination. 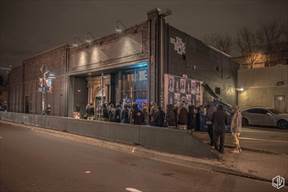 A haven for artists, audiophiles, and partygoers alike, The Black Box is headquarters for Colorado’s underground music community.